If you are looking for the perfect gift for someone special in your life, then you need to visit One Stop Gift Basket Shop. This is THE shop for high quality gift baskets! They have the best selection that you will find online and not only that, they truly care! 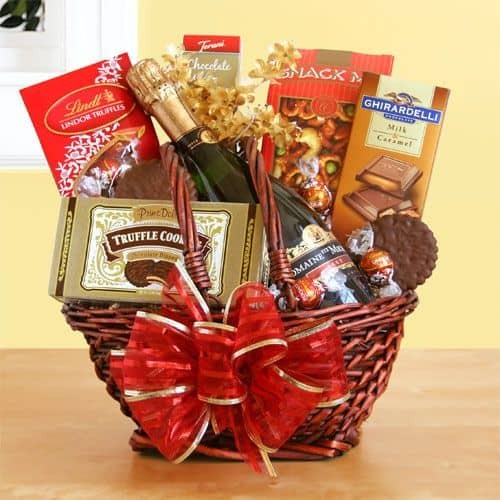 The folks at One Stop Gift Basket Shop pull out all stops to make your buying experience smooth and enjoyable. They want their customers to know that they value them and that they are special. They also donate a portion of their earnings to charities like cancer research, helping young kids strive for a better life, or supporting our troops and their families. I had a look around their site and love the large selection they offer. 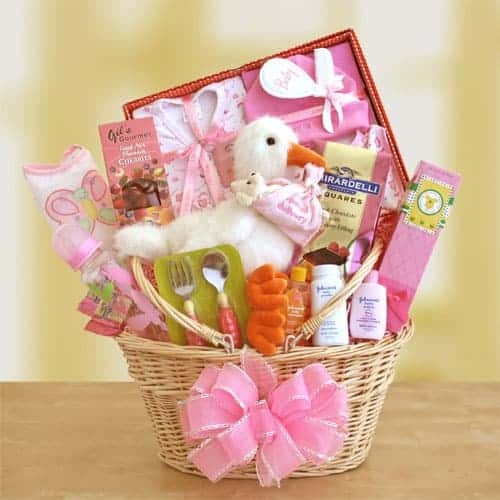 Whether you are looking for Valentine Gift Baskets, Baby Boy or Girl Gift Baskets, Birthday Gift Baskets and more, One Stop Gift Basket Shop quite literally has it all! One Stop Gift Basket Shop is giving one lucky reader a $100 Gift Certificate to shop on their site! The Vines og Gourmet sounds wonderful. I like the wine and cheese gift basket. This would be the perfect house warming gift. I liked the relax and recharge organic spa. I like the Wine Cellar Celebrations Gift Basket. The Early Morning Tea Basket is my favorite. I’d love to have the Godiva Holiday Signature Celebration! -Favorite basket: Relax and Recharge Organic Spa. -Blog Frog Name: Francine E.
I love the Sparkling Cider Celebrations! Easter Basket Full of Treats. Pingback: $100 Gift Basket of Your Choice Giveaway | Giveaway Promote | Find and list giveaways and giveaway events.